This action has been deprecated, but is still available for backwards compatibility. Please see the new set of FTP Actions. 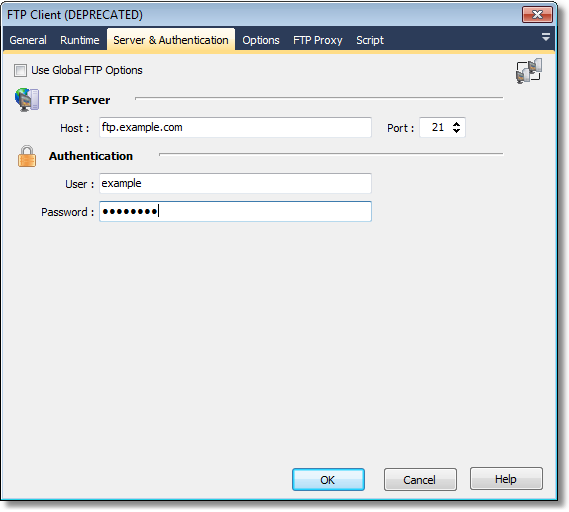 This action provides a basic FTP client, which can be used to upload or download files to/from an FTP server. Detailed Logging : Enables Detailed logging. 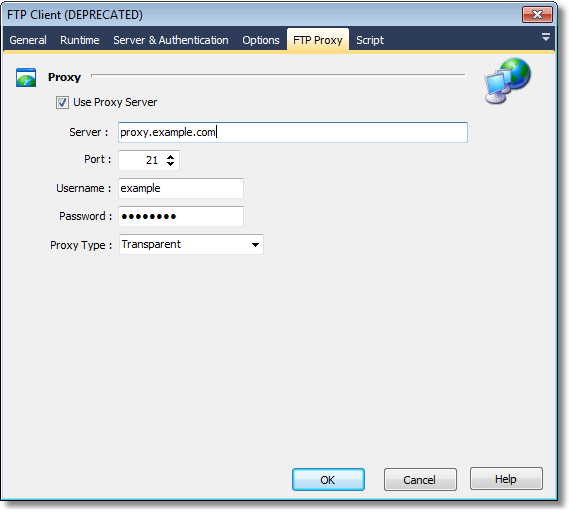 Transparent - First use the USER and PASS command with the firewall username and password, and then with the target host username and password. Change Directory : Change the remote directory, you can use FinalBuilder Variables with this command. List Directory : Lists the remote directory into a variable. Create Directory : Create a sub directory in the current remote directory. 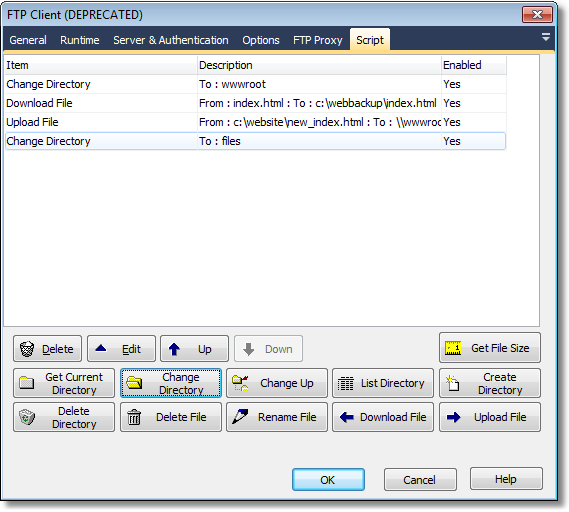 Delete Directory : Deletes the specified remote directory. Delete File : Deletes the specified remote File. Rename File : Renames the specified Remote File. Download File : Downloads the specified remote file to the specified local file. Upload File : Uploads the specified local file to the specified remote file.